Check http://technet.microsoft.com/en-us/library/bb232090.aspx for more information about installing the Management Tools. The -whatif parameter will allow you to simulate a certain command, without really executing it. If you add -validate, the prerequisites for running the cmdlet will be checked as well. If you want to log what you are doing in PowerShell, you can use Start-Transcript c:\MySession.txt -Append to start logging and Stop-Transcript to stop logging. The textfile will contain all commands and the output from the Powershell sessions between the Start- and Stop- command. First server : if you have prepared the Schema and AD, you can run the setup with Domain Admin rights. If you did not apply the schema changes yet, run the setup with Enterprise Admin rights (because the Schema updates will be run during setup preparation). If you want to install an Exchange 2007 server into an existing 2003 organization, you need to be member of the Exchange Admins group. After installing the 2007 server, a routing group will be created to allow for message routing between 2003 and 2007. The ‘Access Recipient Update Service’ extended right on the Exchange 2007 administrative group. This extended right is required because in Exchange 2007 address related information is stamped on the recipient during the provisioning process. Write access to the msExchLastAppliedRecipientFilter and msExchRecipientFilterFlags attributes on the Address Lists Container container within the Exchange organization. These rights are required so that the recipient administrator can execute the Update-AddressList cmdlet. Write access to the msExchLastAppliedRecipientFilter and msExchRecipientFilterFlags attributes on the Recipient Policies container within the Exchange organization. These rights are required so that the recipient administrator can execute the Update-EmailAddressPolicy cmdlet. If you want to see who has Administrator access : use the Get-ExchangeAdministrator EMS cmd-let. If you want to grant Exchange Server Administrator access for a specific account, to a specific server, use the Add-ExchangeAdministrator –Identity UserAccount –Role ServerAdmin –Scope SERVERNAME EMS command. Remove-ExchangeAdministrator allows you to revoke permissions again. 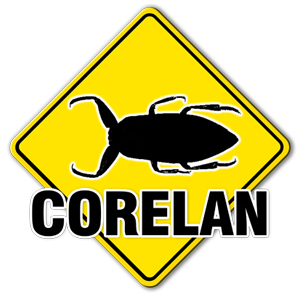 © 2007, Corelan Team (corelanc0d3r). All rights reserved.